L-Carnitine is a non-essential amino acid that helps to maintain overall good health by facilitating the transfer of fatty acid groups into the mitochondrial membrane for cellular energy production. *It naturally occurs in red meat and other animal source foods, but we recommend supplementation to obtain optimal levels of this excellent amino acid. 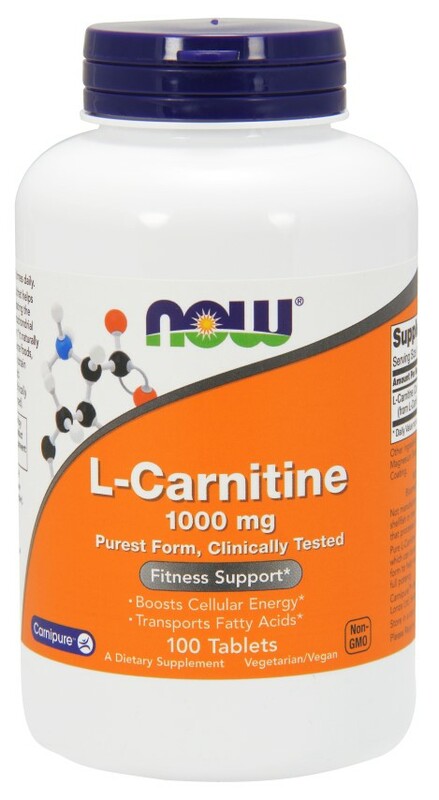 NOW- L-Carnitine is the purest form, clinically tested, and vegetarian (non-animal sourced). Suggested Usage: As a dietary supplement take 1 tablet 1 to 2 times daily with or without meals. Consider taking this product in combination with NOW- Pantethine, CLA and Lecithin.